When Glenn Holliman of Episcopal Church Foundation delivered the bad news that Fulfilling the Vision would not fly—see “Fulfilling the Vision Postponed”—he worked hard at putting the best face on the news. Among other things, Holliman complimented the parish on its newly released Children’s Ministry brochure. I had seen this brochure only the day before, but I picked one up only after I heard Holliman’s comments. Only today have I gotten around to actually reading it. So, was the praise justified? Well, yes and no. The cross with the hand prints on the cover is certainly arresting, and carrying the hand print motif through much of the brochure does, I think, work. Overall, so does the Berlin Sans FB font, although the Berlin Sans FB Demi Bold used in the calendar is ugly and hard to read. Ideally, the brochure should have been printed on heavier stock. That last item is interesting. 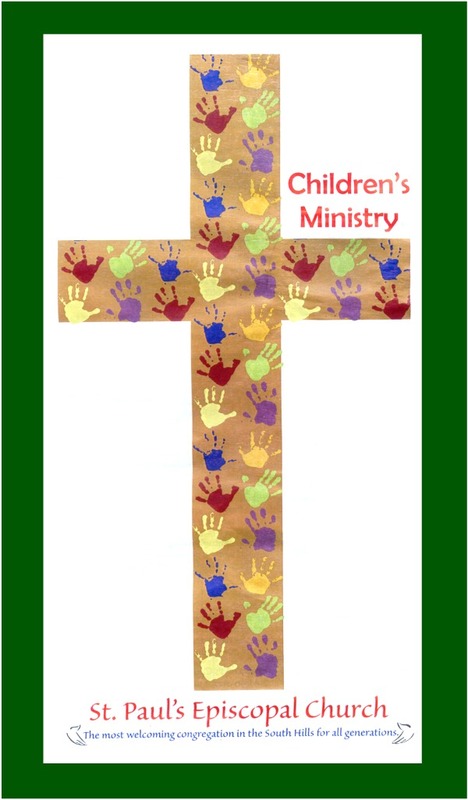 On the back page is a list titled “The Top 10 Reasons Why Children are Welcome in Church.” At the bottom of the page, Tracey E. Herzer is credited with the list. (The list is found here.) That list is, in fact, the source of “worshipping,” so this error can perhaps be excused. On the other hand, there is little excuse for copying “quiet” as “quite.” Was the text copied and pasted, or was it actually retyped (and retyped badly)? I have a reputation as an obsessive editor. Am I being unfair in insisting on professional standards in publications from St. Paul’s? I don’t know. Are we only an amateur church? Update: Is St. Paul’s Growing?